At Kitchen Concepts, Inc., our motto is "Quality at the Right Price". Select from an array of unexpected materials, including stainless steel, granite, and marble! The high-quality materials we carry help to deliver the look you want, at a price you can afford. Our staff and technicians specialize in installation of cabinets, custom designed granite and marble countertops, and installation of vinyl hardwood flooring. We supply a range of quality cabinets at wholesale prices. Visit our showroom today to see the difference! 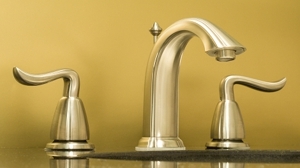 At Kitchen Concepts, Inc., we believe in using only top grade materials and all of our installers are well trained with the most current installation techniques. Call (248) 397-5490 for a free estimate on any new construction or remodel project.